As his father, Mychal Thompson has followed his son Klay Thompson’s path to the NBA since his days playing at Santa Margarita Catholic High School. And as a broadcaster for the Los Angeles Lakers, Mychal is also up-to-date on news regarding that Southern California team and he shared some insight regarding both on Tolbert & Lund Tuesday afternoon. After this season, LeBron James and Paul George will both be free agents, but if the Lakers are unable to sign both those players, they’ll look towards next summer, when Kawhi Leonard, Jimmy Butler, and Klay are free agents. Yet, from what Klay has told him, Mychal sees no reason why his son would leave the Warriors. 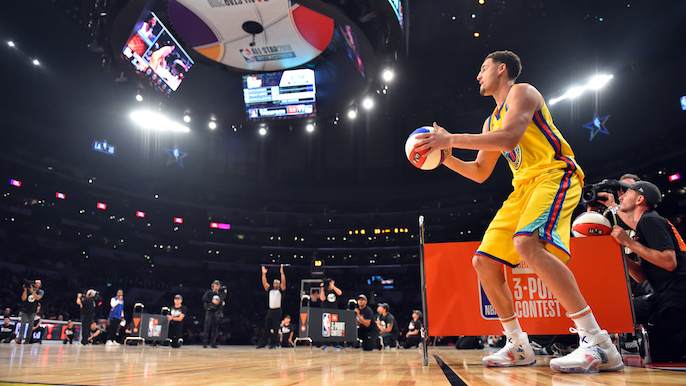 After seven years with Golden State, Klay is an established fan-favorite with four All-Star nominations and two NBA championships with a historic chance to win more titles. To listen to the full interview check out the podcast below, and skip to 13:54 for Mychel on Klay.